White Macaron Box for 4 Macarons. This product was great for the intended purpose. I would have given them 5 stars but they are slightly larger than the 4 Macaron Insert so there was some sliding involved. We did solve this issue by sealing the box front with a large label that contained product info. pictures are true to prodict, arrived sooner thsn expected! 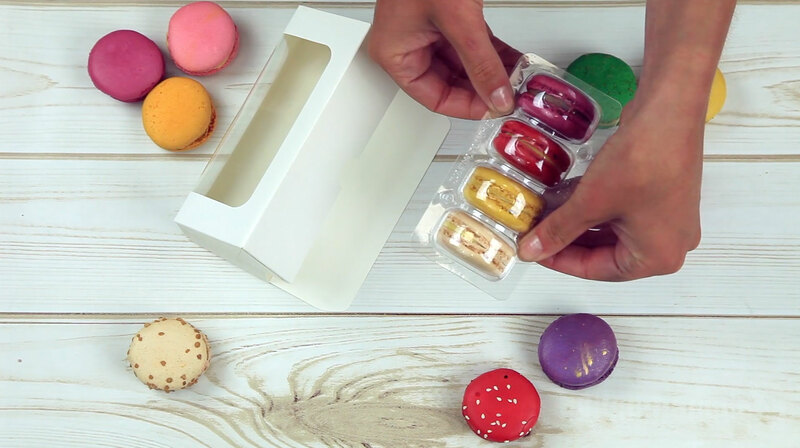 These, along with the inserts, are perfect for macaron gift giving. I've ordered these boxes and I'm very happy with them. The insert plastics fit very well into the boxes. The quality of the boxes is really good too!